Paro police detained three women aged in between 28 and 36 years for an alleged battery case yesterday. The incident happened earlier this month. However, it was reported to the police only on Tuesday. In a video clip of the incident, one of the suspects is seen slapping another woman twice in between an argument. The video, recorded by another suspect, went viral on Facebook and Wechat with hundreds viewing and sharing the content. According to the police, the victim in the video and her employer reported the case to them. 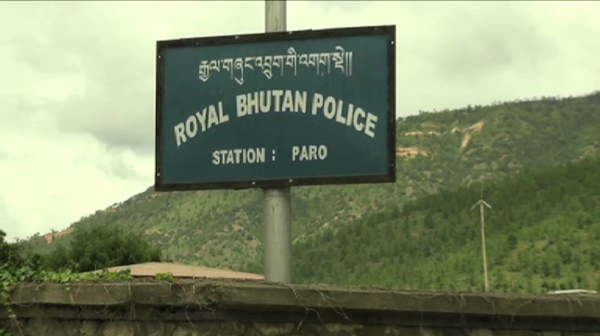 The three women had come from Thimphu to Paro suspecting an illicit relationship between the prime suspect’s husband and the victim. While the suspects are under custody for battery and libel, the police are also trying to find the person who first shared the video on social media platforms. According to the Penal Code of Bhutan, battery is a petty misdemeanour with a maximum prison term of one year. Likewise, if a person is convicted for libel that does not include murder, armed robbery, terrorism or treason, he or she will have to pay compensation to the aggrieved party. The calculation will be based on the daily minimum wage rate with the number of days ranging from one month to three years. The Penal Code of Bhutan defines libel as defaming another person through the means of writing, drawing or photographing.